Saturday is our most busy day of the week. Please call us or book your appointment online ahead of time with your optometrists in Winnipeg, MB Armstrong & Small Eye Care Centre. 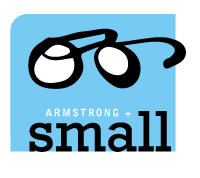 If you cannot keep your appointment, please call Armstrong & Small Eye Care Centre ahead of time to cancel it so we could allocate the time for other patients. Thank you for your consideration.